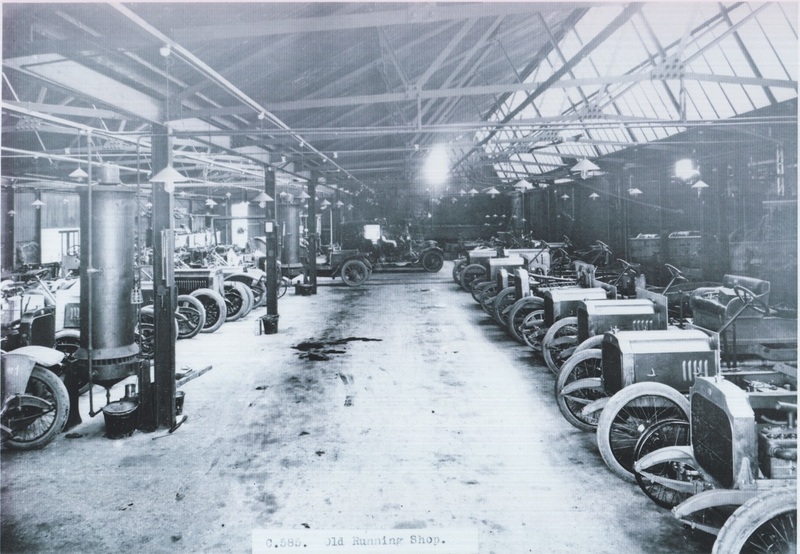 After the Armistice in November 1918, the Luton factory was quickly re-organised to produce the 25hp D type for civilian sales. 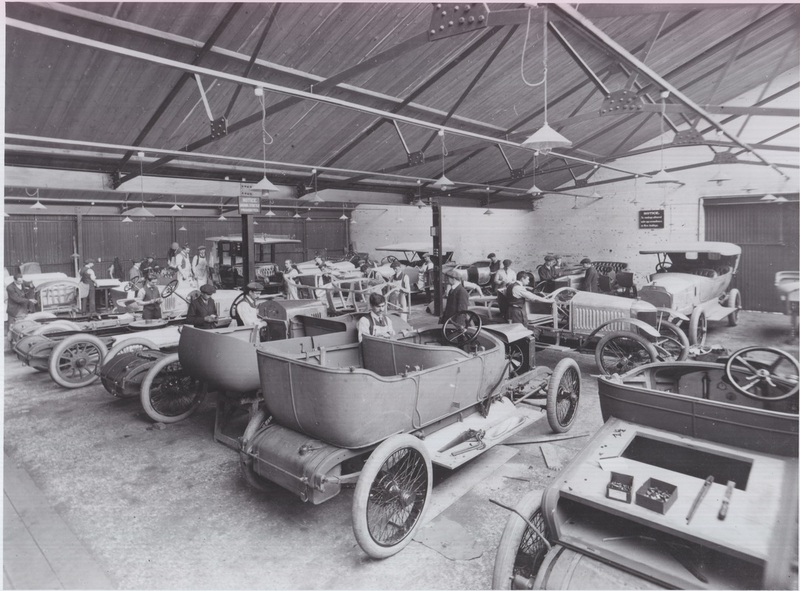 Vauxhall had kept an order book throughout the war years, and customers were anxious to take delivery of their new cars as soon as possible. The earlier B type & Prince Henry models were not re-introduced, and the factory concentrated on the 25hp D type which had acquitted itself so well in the arduous wartime conditions. 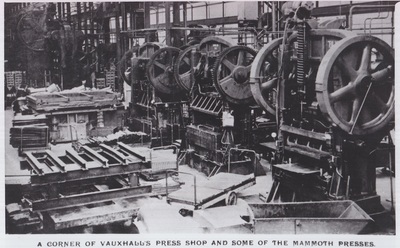 (The 30-98 was not re-introduced until December 1919). 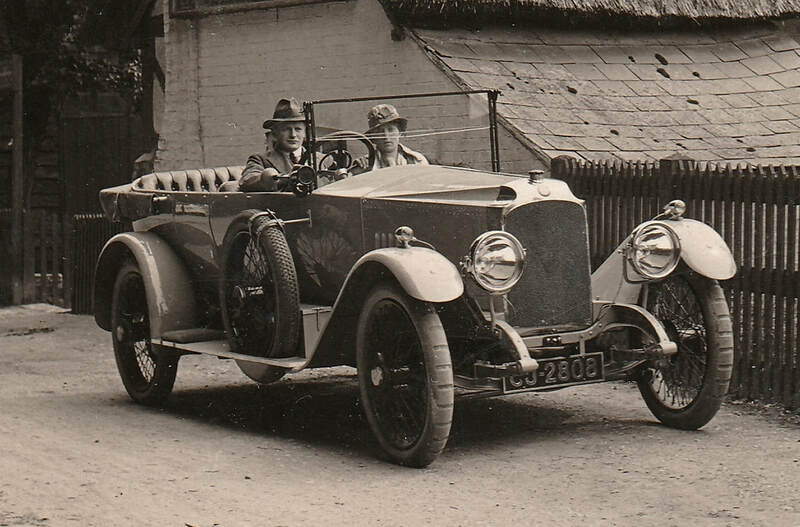 Chassis number D2320 was the first civilian D delivered in Feb 1919. 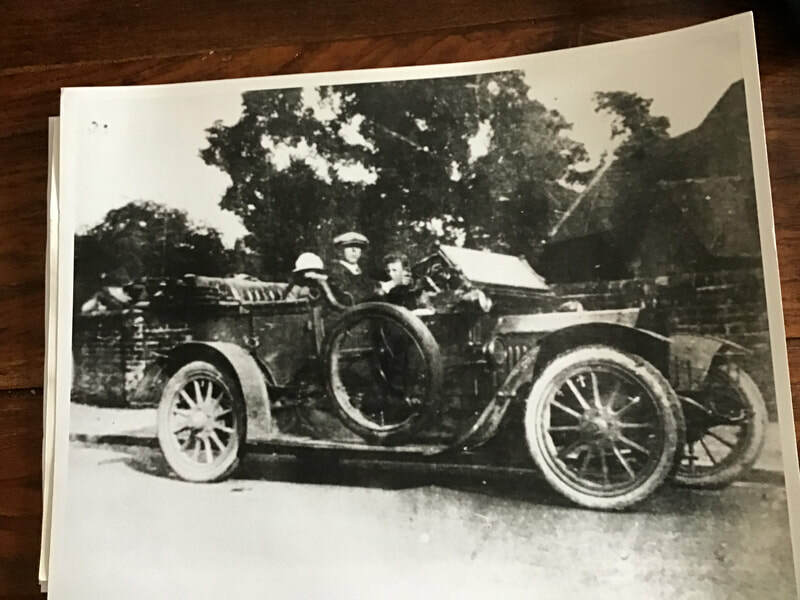 The pictures below are Vauxhall publicity photos from 1919, and seem to show the same car, possibly the first civilian D type. 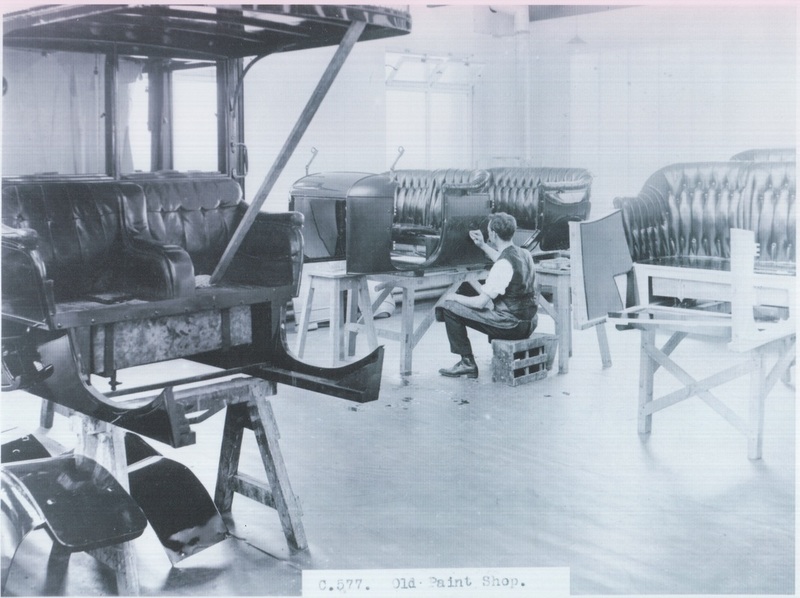 There are a few obvious differences to later cars: the windscreen frame, the headlamp bracket shape and the starting handle support for instance. 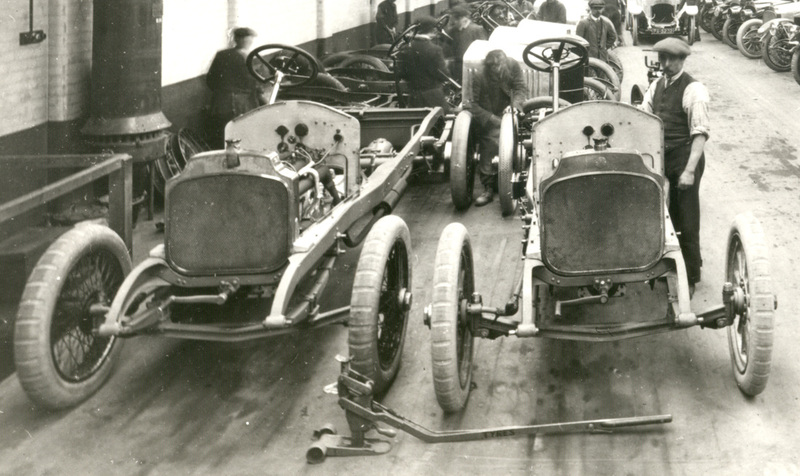 ​On the left (below) the car is unfinished (no wiring to the lights!) and unregistered. 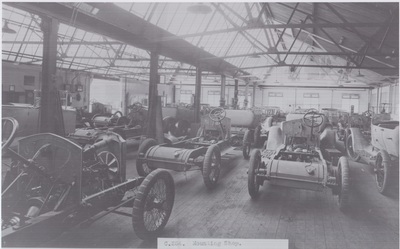 On the right, the car now appears to be registered and 'sold'. The car in the picture below (from Vauxhall's employee newspaper, August 1965) has the number D2409. 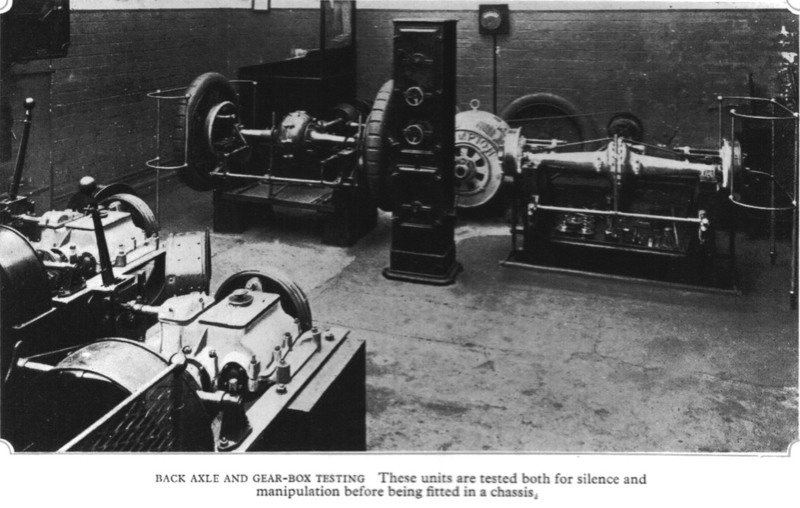 All chassis were vigorously road tested before being passed out to 'sales'. 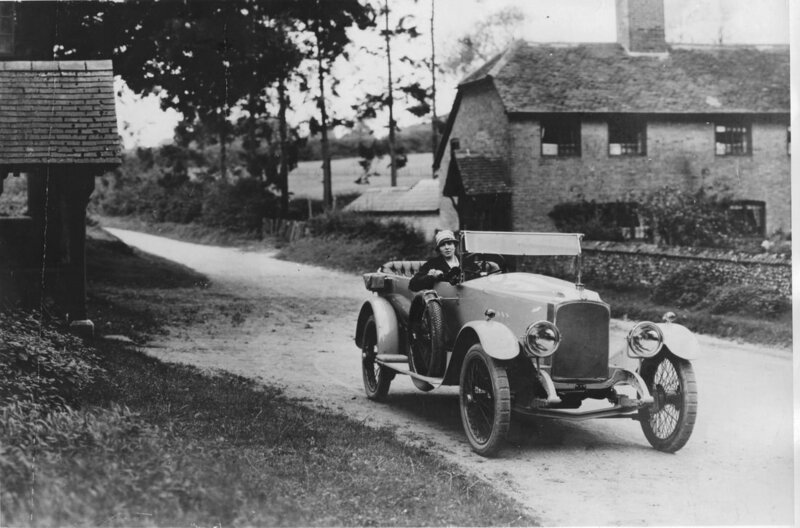 Note the Bedfordshire (BM) trade plates fitted for this purpose. 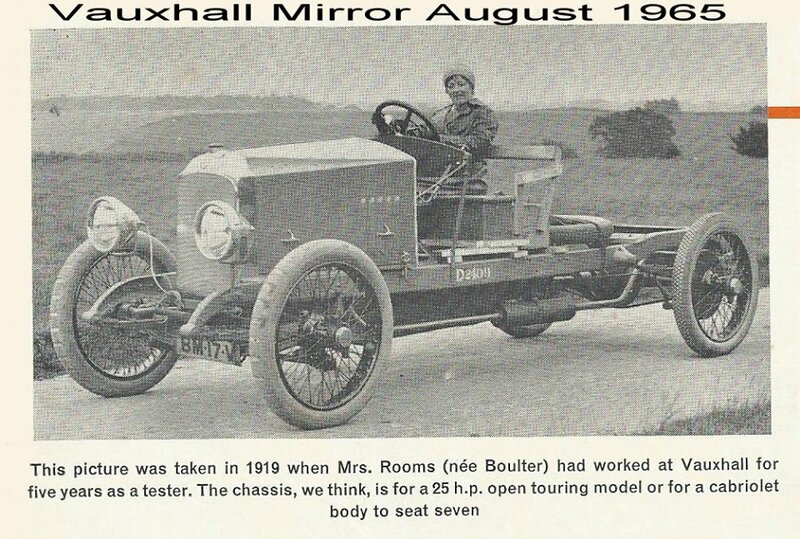 The lady in the publicity pictures above certainly resembles Ms Boulter! ​Exactly one hundred years ago in 1915, ecouraged by the British Government, the Vauxhall directors decided to devote the company's entire focus and financial resources to support Britain's War effort. 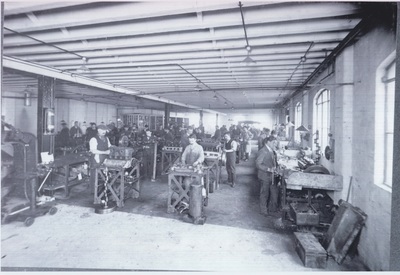 Two significant production projects were started in that year, both financed entirely from the company's own resources. 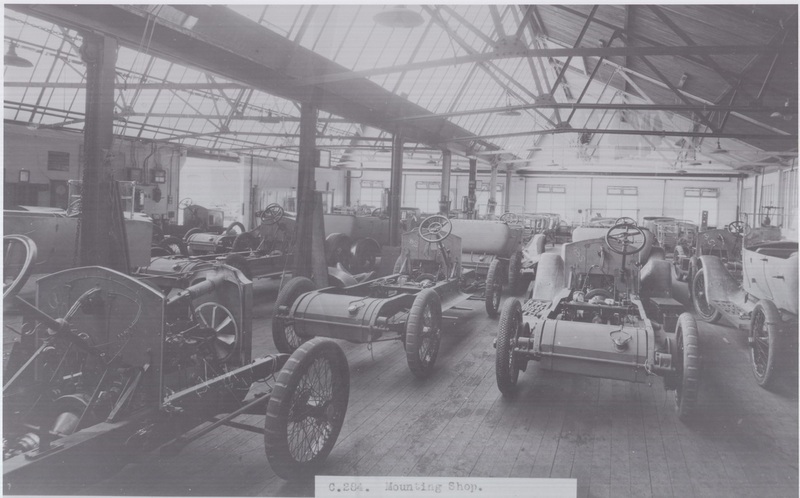 Towards the end of 1914, the Vauxhall Motor Company had won a contract, against tough competition from a number of motor manufacturers, to supply 25hp cars to the War Office for use by the Army. 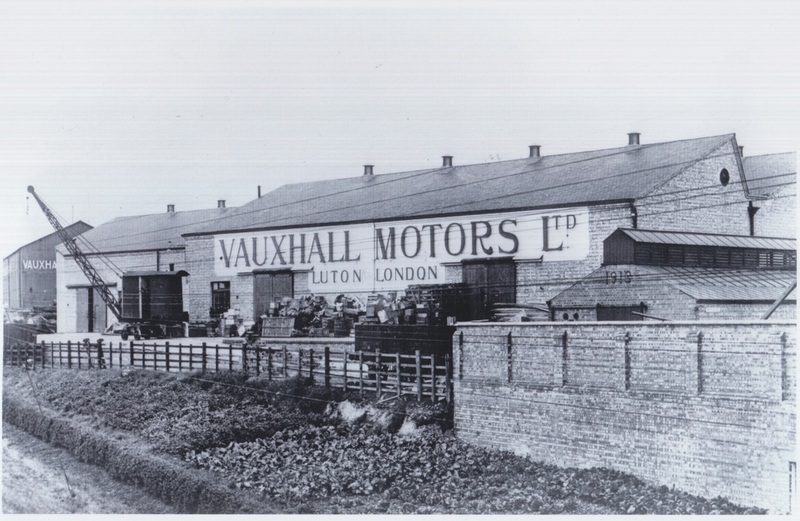 After the trials and acceptance of the final specification, production ramped up in early 1915, and by July of that year the entire output of the Vauxhall factory in Luton was turned over to the military specification 25hp cars. The Government committed to purchase as many units as Vauxhall could make, and such was their reliability and dependability in wartime service, that nearly 2000 units had been supplied by the end of hostilities. 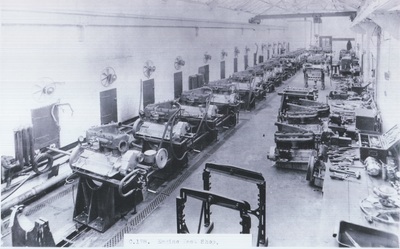 The second major production project involved the construction of a completely new building at the Luton factory, separate from the increasingly busy car production plant. 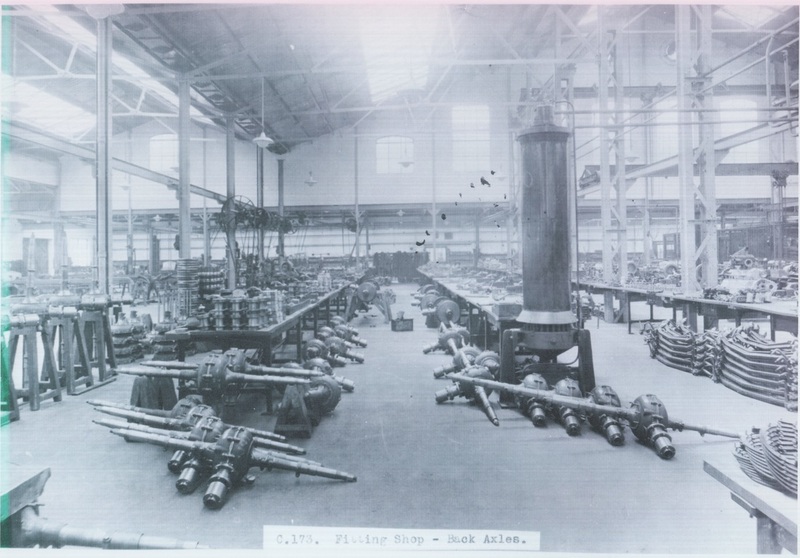 Its purpose, highly secret initially, was to manufacture fuses for use in high explosive shells. 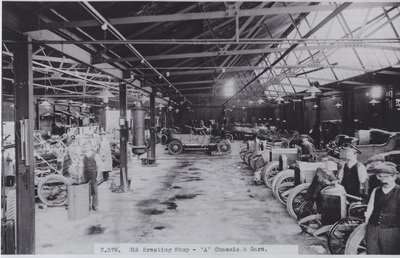 Construction began in December 1914, and was completed on time despite the unusually wet winter: it rained during 38 of the first 42 days of the building project! 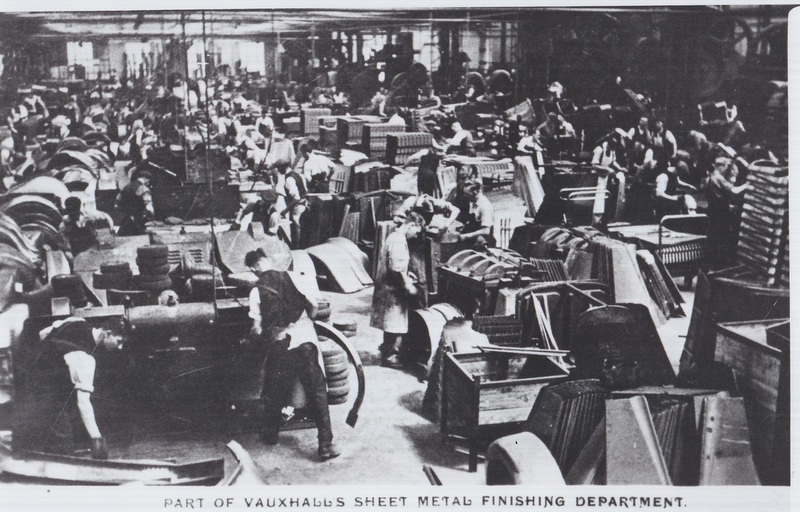 By this time, a significant number of Vauxhall employees, many of them highly skilled, had volunteered to join up and fight 'for King and Country'. 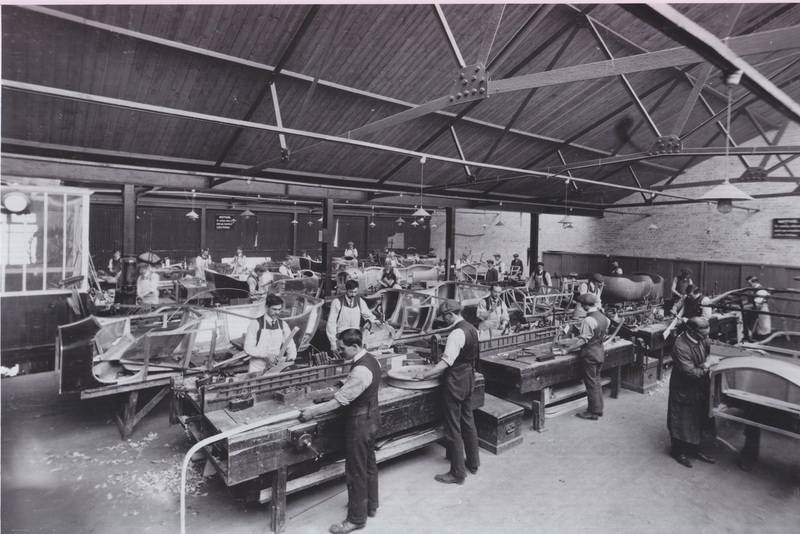 To staff the fuses factory, Vauxhall therefore recruited a new workforce consisting almost entirely of women. Many of these women had previously worked in the hat factories for which Luton became famous as far back as the 19th century. All these new recruits were trained from scratch, smartly equipped with neat blue overalls and matching caps, and by summer 1915 the new factory was delivering fuses to the War Office and Admiralty. 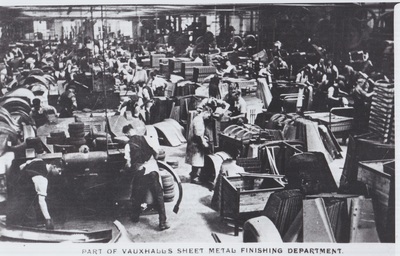 The Vauxhall workforce responded magnificently to the needs of the war effort, working long hours to achieve the production and quality targets. Those employees who had gone to the front line were not forgotten either: in December 1915 Vauxhall sent Christmas boxes to all serving 'Vauxhall Men' as loyal token of appreciation. The war took a heavy toll on the circa 2000 Vauxhall 25hp cars produced to War Department specification. 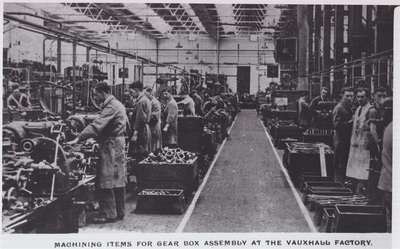 Those that survived the hostilities were pressed into civilian service in a car starved, booming post war economy. 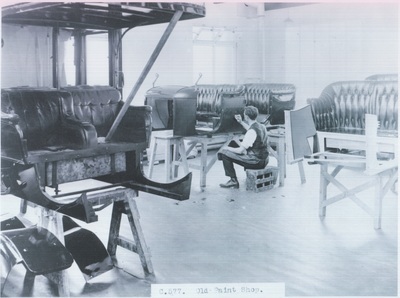 Frequently used as provincial taxis, and for various other commercial purposes, their numbers dwindled rapidly. 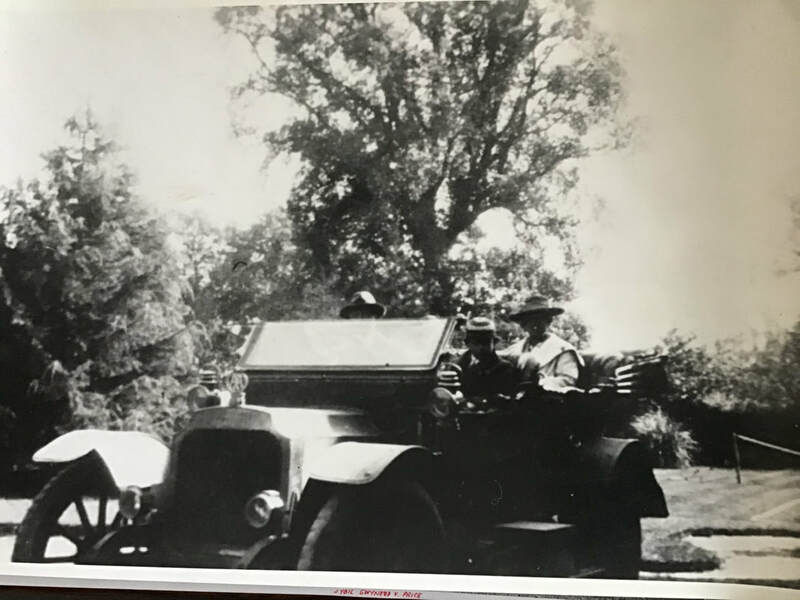 Today there are just 2 known survivors. 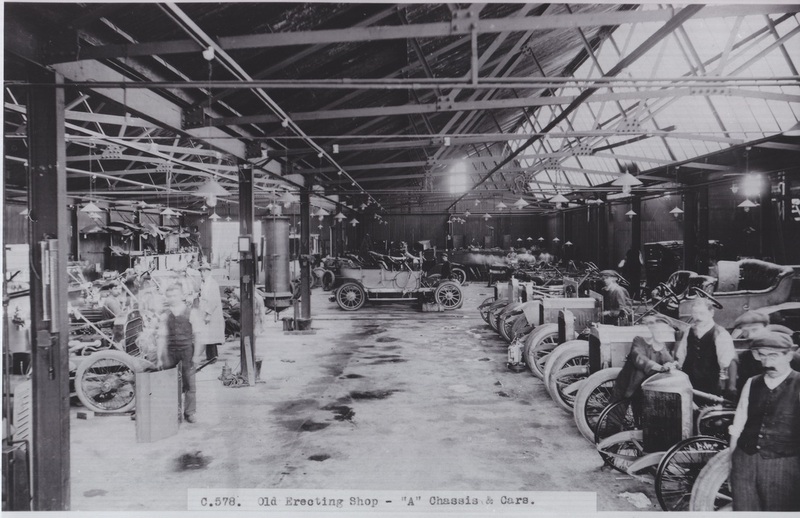 Daniel Ghose is the currently custodian of D741, a 1915 car which was updated post war with a number of D and OD type civilian features. 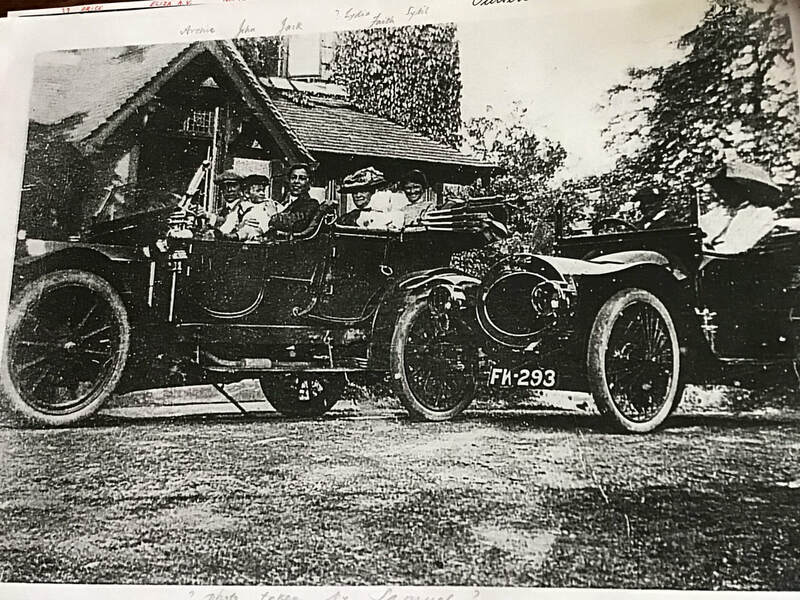 This car took part in the WW1 Centenary Commemoration events in London last summer. The other survivor, a 1918 car, belongs to Vauxhall Motors Ltd and is displayed in their Heritage Centre. 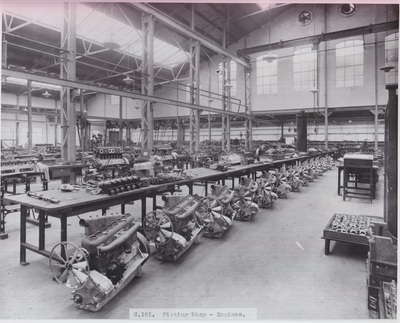 It retains the basic military specification, with air pressure fuel supply (rather than the later Autovac), and lacking an electric starter: Army drivers were expected to start their cars the traditional way, 'on the handle'!